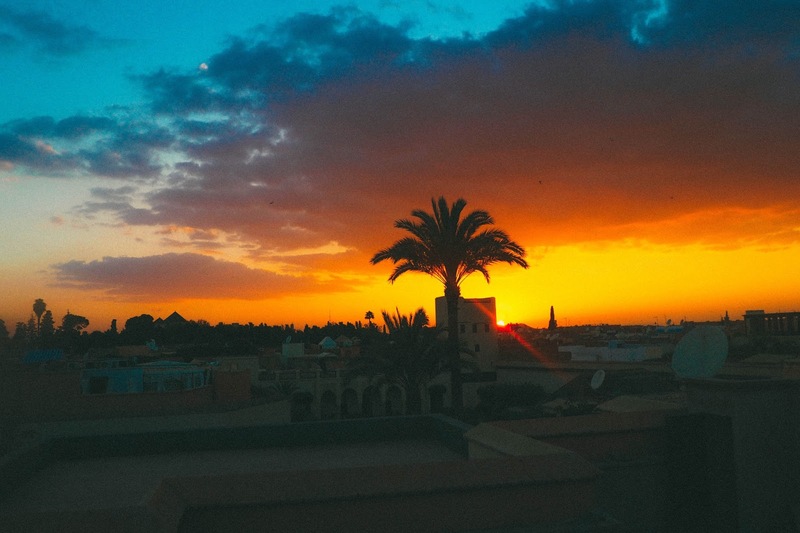 Marrakech is a place I've wanted to visit for a long time. 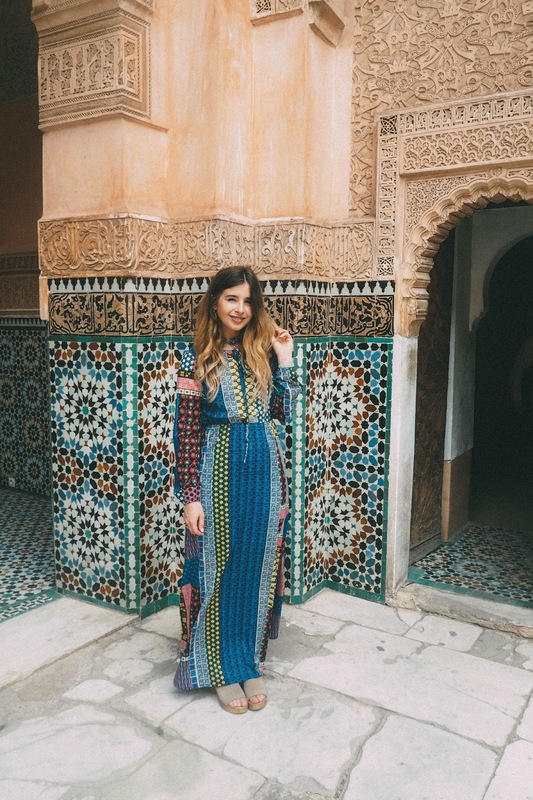 Although it's situated in the north of Africa, Morocco is just below Spain on the map and is only a 3 and a half hour plane journey from London. 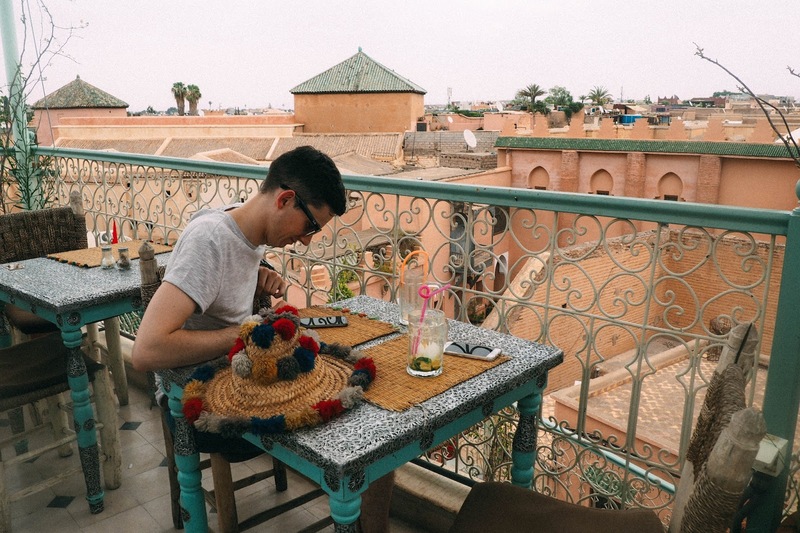 However, visiting the city of Marrakech truly transports you to another world and while there are elements of westernised culture, Marrakech remains very traditional to its Islamic history and way of life. Prepare for all of your senses to go crazy at once and by fascinated between the juxtaposition of the beauty and glamour together with the deprivation of the modern life we've become accustomed to. 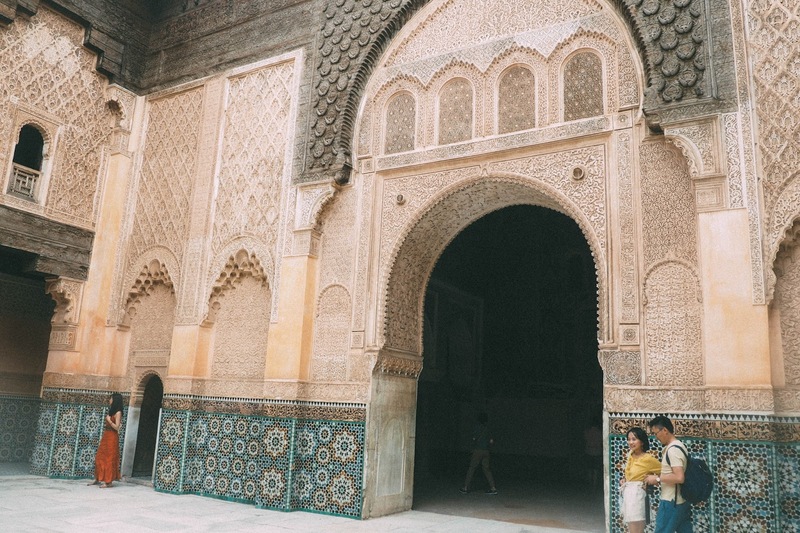 You'll see everything from people riding around on donkeys, to impeccable tiled buildings and hear the roar of mopeds through the medina as well as the call to prayer around 6 times a day. 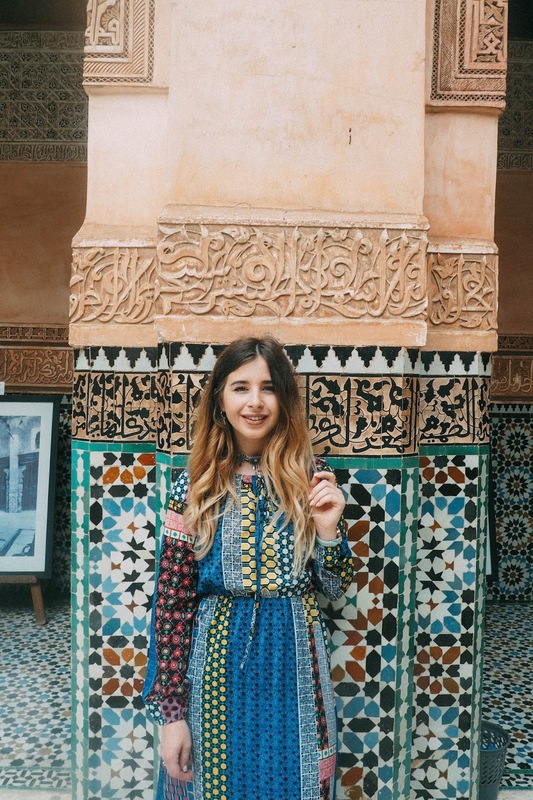 Marrakech is a particularly popular place for French tourists and you'll have the owners of the Souks (the huge market of shops and stalls) shouting BONJOUR every time you walk past. 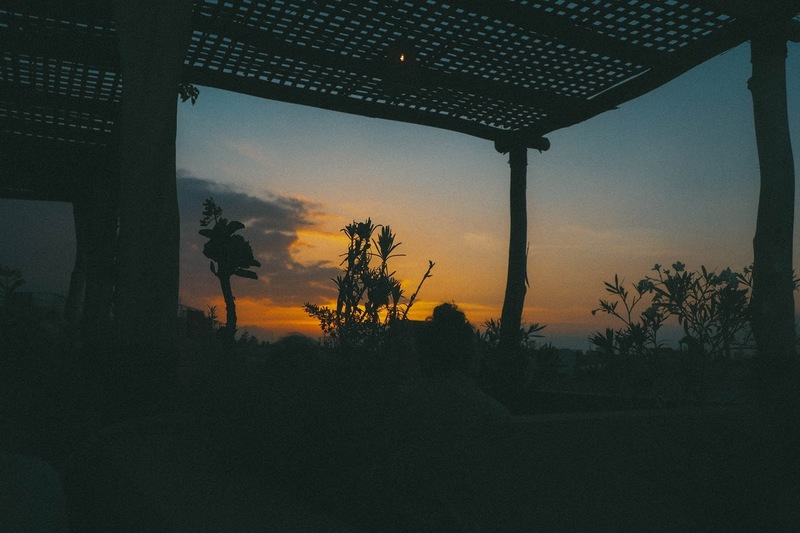 But then walking into a seemingly dingy restaurant, you can end up on a stunning, peaceful roof terrace with a glass of wine in hand watching the sunset forgetting the world a few feet below you. 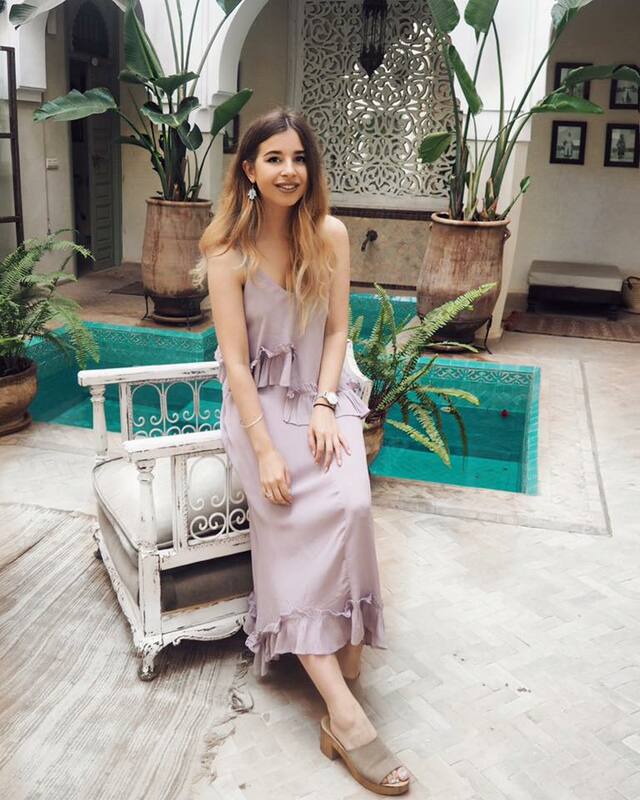 When looking for a place to stay as we booked fairly last minute (about a month before) and a lot stunning Riads which you may have seen on Instagram (Riad Yasmin and Riad Melhoun etc) were all booked up. When browsing on Booking.com I stumbled across Riad Palacio Des Les Especias. 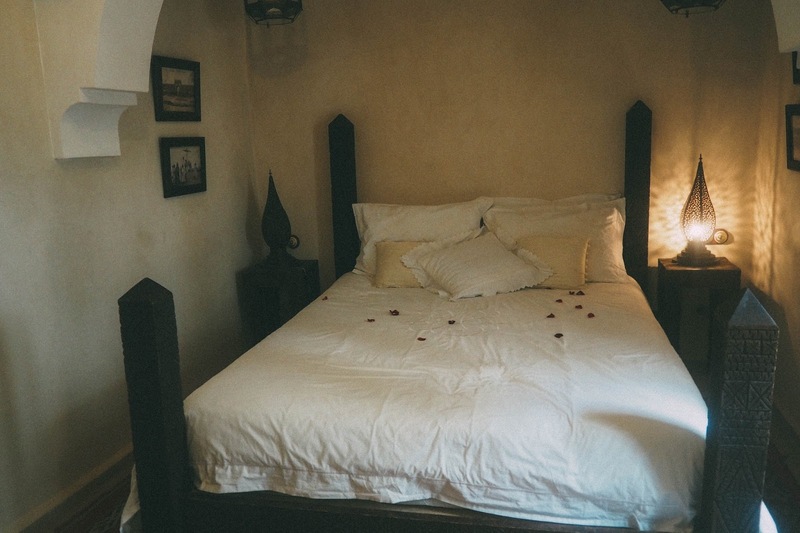 This is an adorable little Riad was just outside the Souks and about a 20 minute walk to the main square. 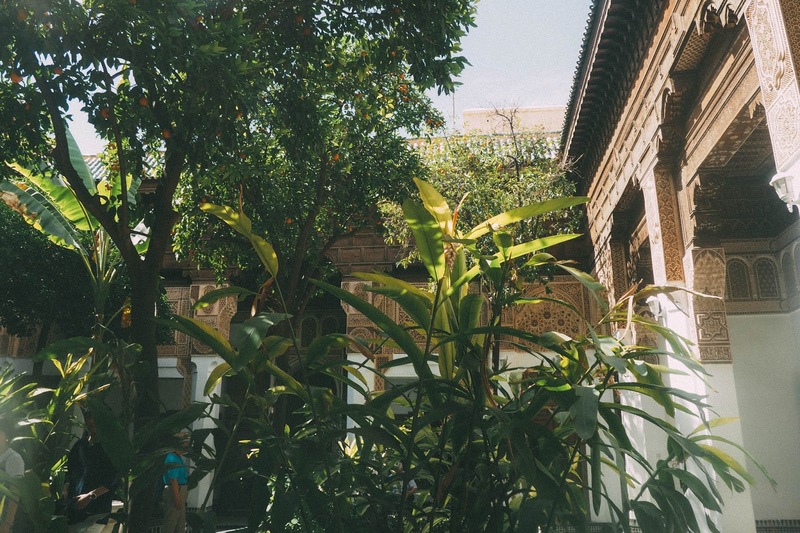 Tucked away down a little back street, our Riad was a little tricky to find without the beauty of google maps but once we did we were transported off the busy streets and into our own quiet little haven. The staff here were a dream and welcomed us with Morocco's delicacy: fresh mint tea and sweet biscuits. I became a little addicted to the mint tea when visiting the city - so good! 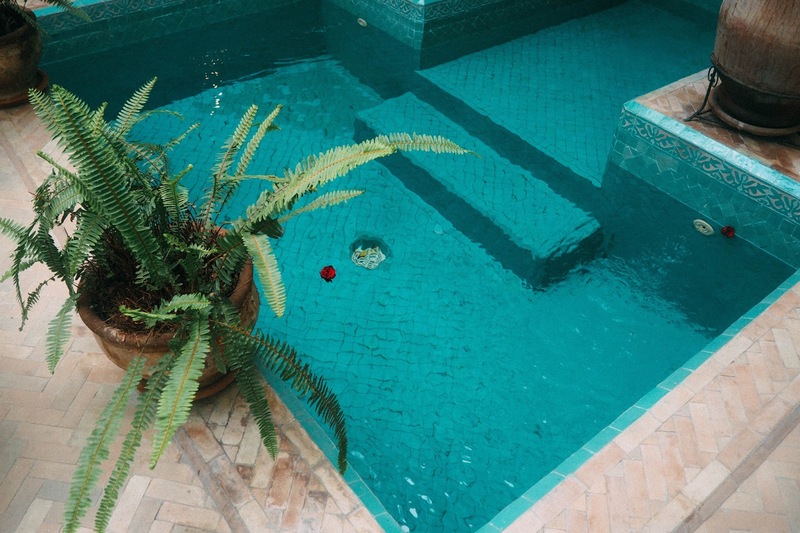 As well as a stunning pool and a lovely little room, our road also had the most beautiful roof terrace which was the perfect place to chill with a glass of wine or catch some rays of sunshine. YSL Gardens also known as Jardin Majorielle. 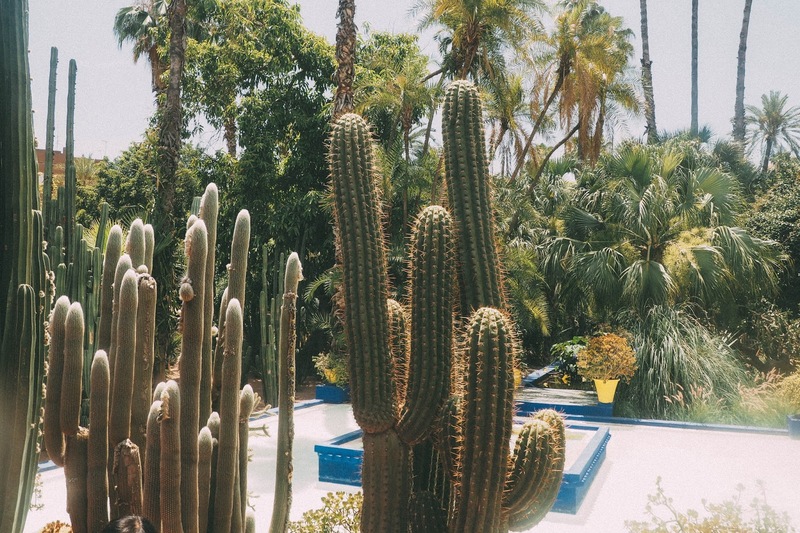 About 30 minutes walk from the medina, Jardin Majorielle is a beautiful botanical garden where the ashes of Yves Saint Laurent were laid to rest. Entry is around £4 here and inside you can also find a museum and cafe. 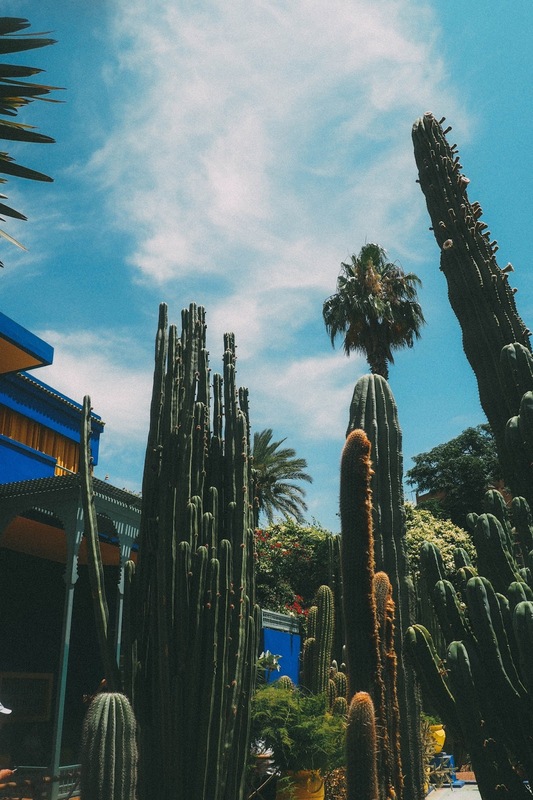 Within this tranquil space you can find more species of cactus than you've ever seen before, along with fountains, fish and other wildlife. This place can get very busy so if recommend visiting as soon as it opens if you're wanting to grab a few snaps! Ben Youseff Madrasa is a ancient college in the heart of Marrakech which was built over 500 years ago. Now a tourist site, the Madrasa boasts an incredible (and I mean incredible) array of mosaics and tiles which I could certainly spend the day just starring at! Although a very touristy spot, Ben Yousseff is very peaceful and serene which is a welcome escape from the busy streets. 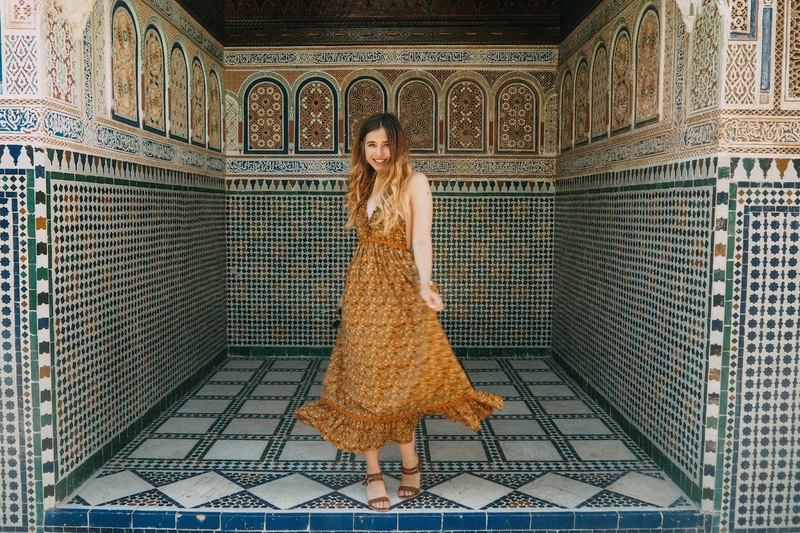 On a similar vibe but south of the main square, Bahia Palace is a similar tiled wonderland to get lost inside. 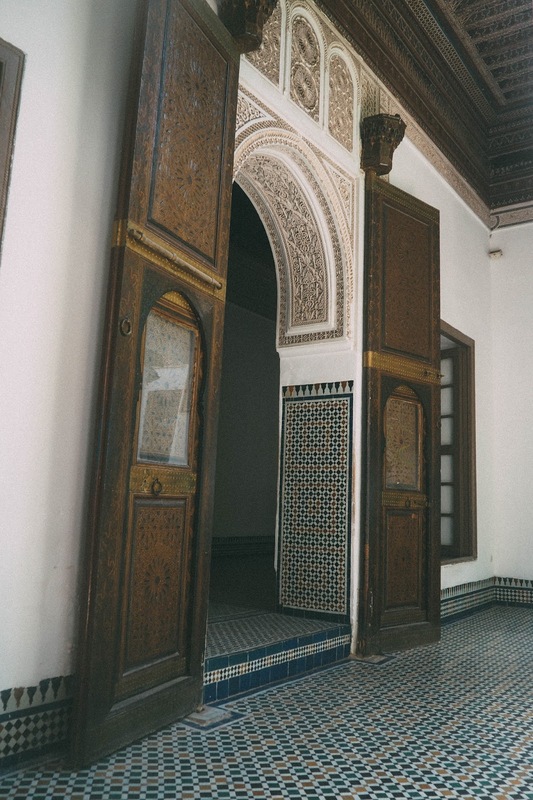 I have a huge appreciation for the beauty and intricacy of the decor of the Bahia Palace which truly captures the essence of Moroccan style. 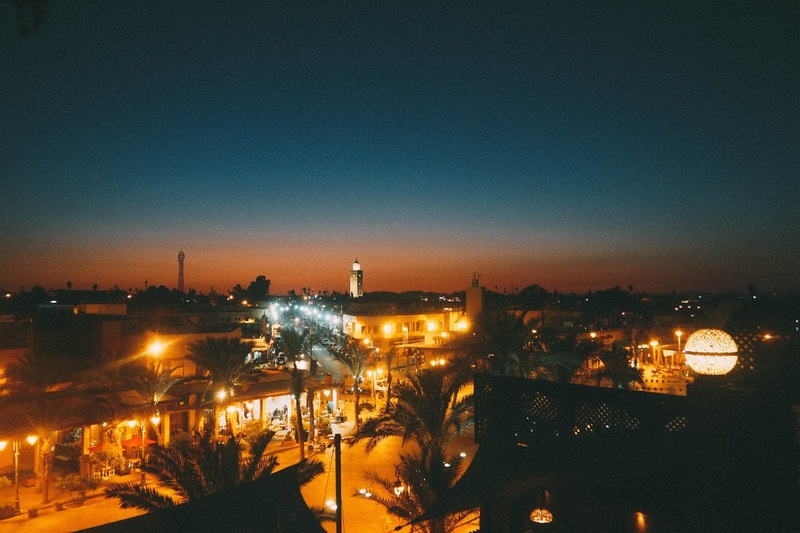 The Medina is the centre of Marrakech where the old towns sits. 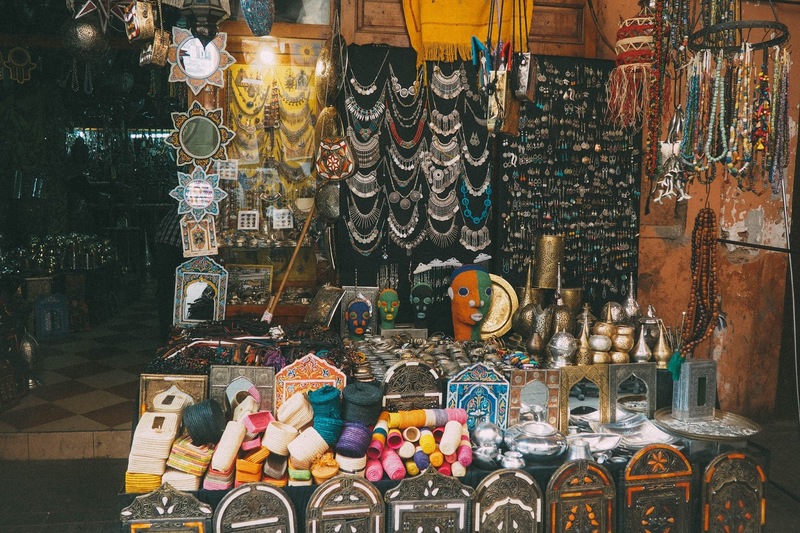 Here you'll find The Souks - an abundance of small stores that come together to create a huge market in the city centre. Its easy to get lost within the Souks - but it's quite a thrill! You can find pretty much anything you might be looking for somewhere within the market, there are plenty of handmade souvenirs to be had as well as art, leather bags, jewellery, lanterns - the list goes on! 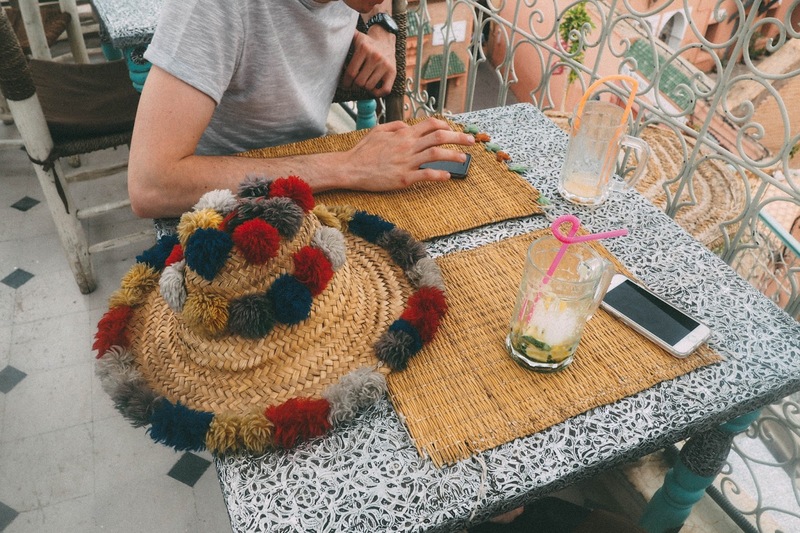 I picked up some beautiful Moroccan tiles when visiting which I've been using as coasters on my dining room table ever since and also some wicker placements with multi-coloured tassels. 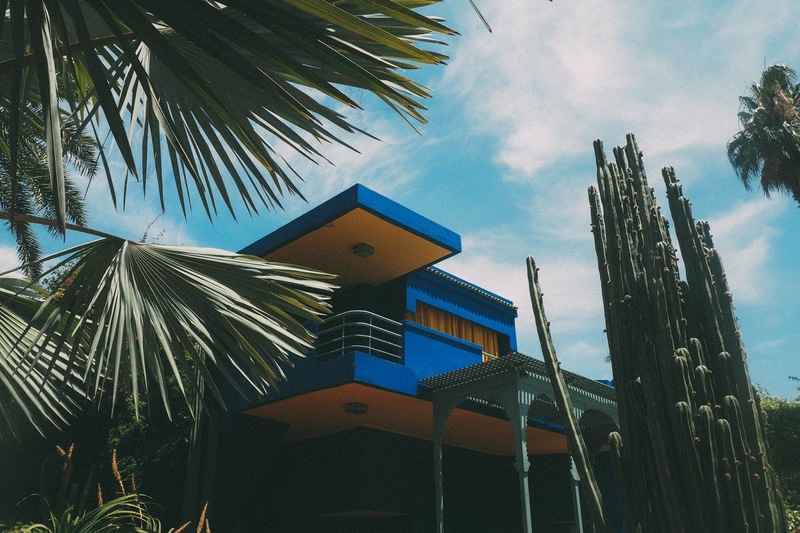 Ryan and I have made a pact to return to Marrakech when we're rich to fill our houses with everything Moroccan style. 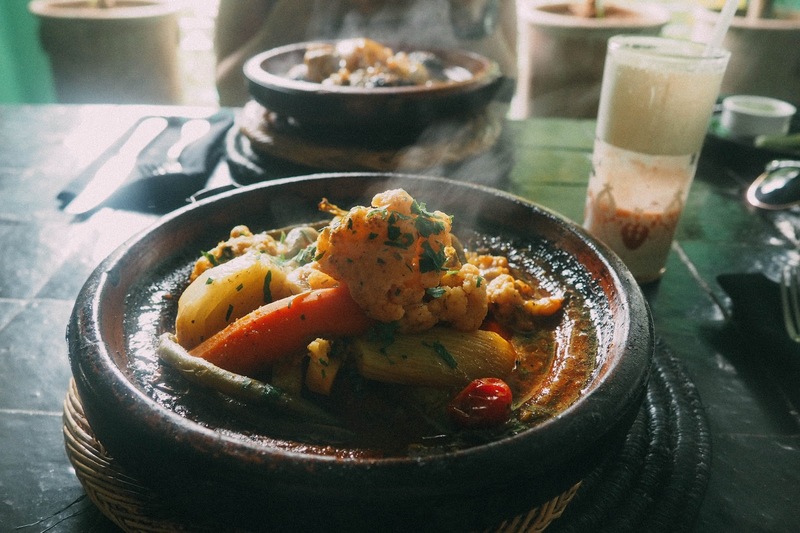 The food scene is pretty spectacular in Marrakech and if you're visiting for the first time there are a lot of amazing places to get stuck into. 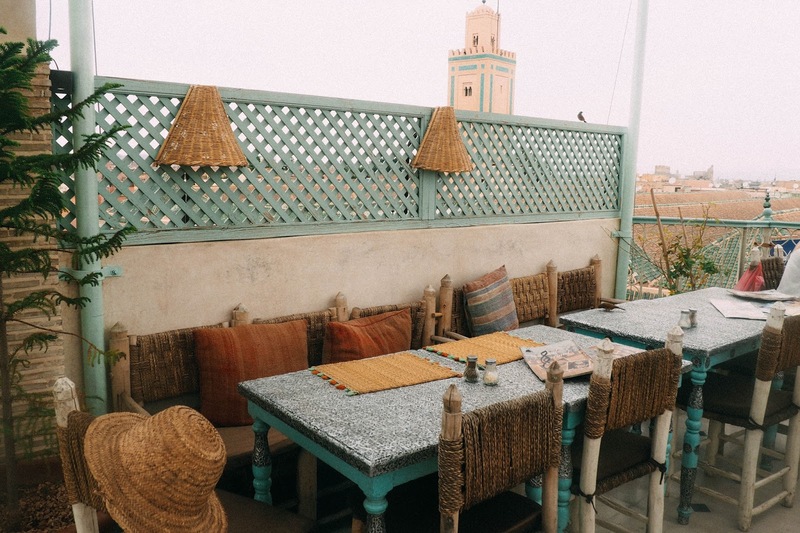 From watching some Marrakech vlogs on YouTube, I spotted Nomad - a cosy roof terrace in the middle of the Souks. It's essential to book ahead here as it can get super busy on an evening. 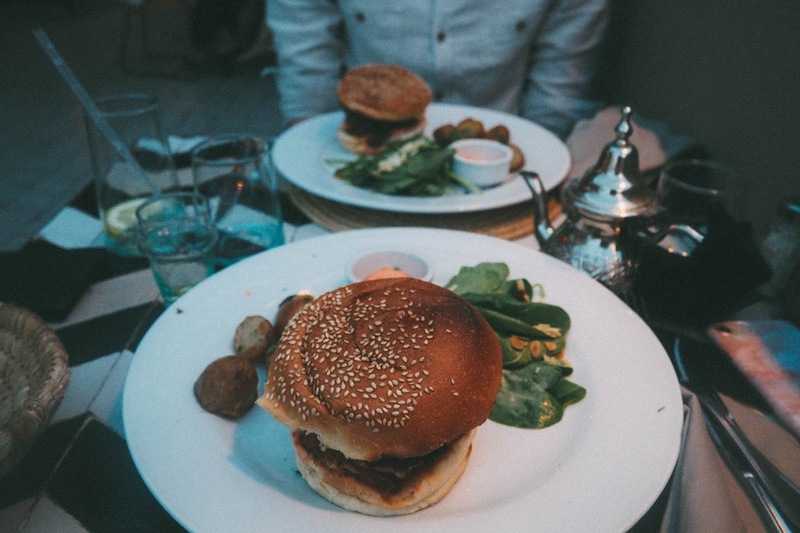 The menu is a lovely mix of local produces and foods but also familiar options if you're not feeling too adventurous. I opted for a goats cheese pastry to start, followed by a lamb kofta burger -yummy! 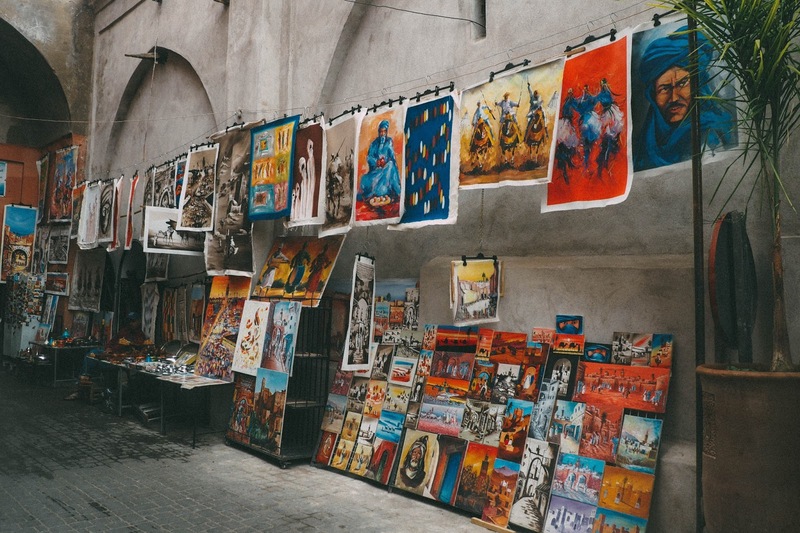 Nomad isn't the easiest place to find - it's pretty hard not to get lost in the Souks so you might want to leave plenty of time if you're planning on visiting. Another tip - young Moroccans on the streets will always try and guide you to where you want to go, but be wary of this. They expect money in return and will most likely take you a long complicated route when the place you're looking for is in fact really close - then charge you a lot for it! KosyBar is another roof terrace spot but on the lower end of Jamal FNA square. The cocktails here are really good and the view over the square is pretty spectacular too. As we visited over Ramadam, service was a little slower than usual however the food really made up for it! Le Jardin is French for "The Garden" and truly lives up to its name. Inside a small secret door, we were transported into a beautifully green courtyard which again was a lovely setting to chill and take a moment away from the hustle and bustle of the city centre. I opted for Tagine here which was an excellent choice and fresh mint tea is really good too! On our last night we watched the sunset from Cafe Arabe, a popular spot by the Souks. This place is a very tourist-friendly spot with a nice menu and great panoramic views of the city. Again - try and book ahead at all these places to avoid disappointment. 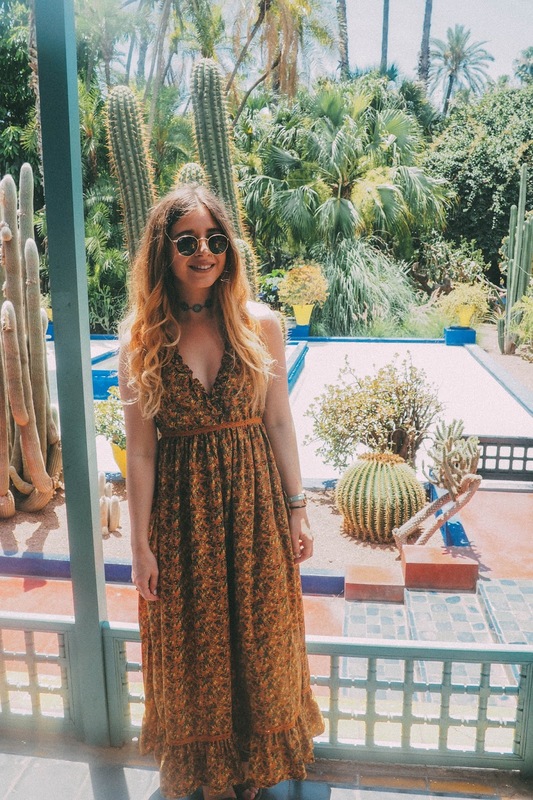 Marrakech is a little more tricky than most typical holiday destinations when it comes to outfit choices. Before visiting, I spoke to various people regarding the dress code in order to stay respectful to the Islamic culture. Many people warned me of showing any skin at all, whilst others advised to cover the chest and shoulders in particular. 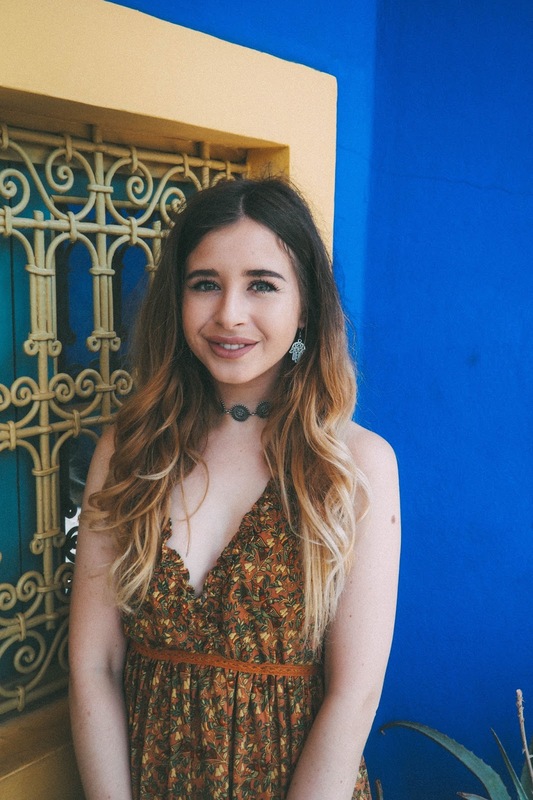 I opted to wear long flowy dresses for the most part and paired with a denim jacket where shoulders were exposed, however when in tourist areas such as the YSL Gardens, the rules felt a little more relaxed.